Don’t have $3,500 to spend on a hand-crafted Nintendo controller coffee table that actually works? 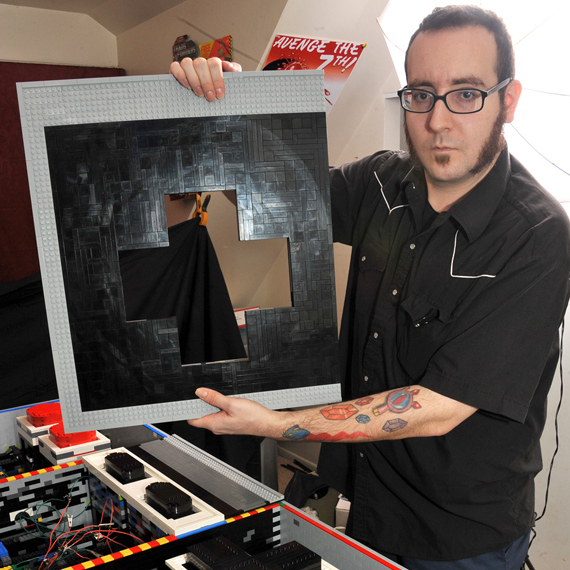 Okay… got any LEGOs? 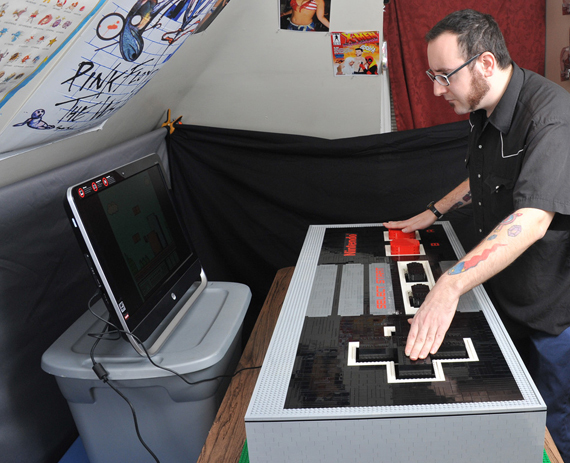 Baron von Brunk (known to some as “the Leonardo da Vinci of LEGO bricks” and to others as “the dude with awesome sideburns”) created a giant, fully functional NES controller using LEGO bricks. 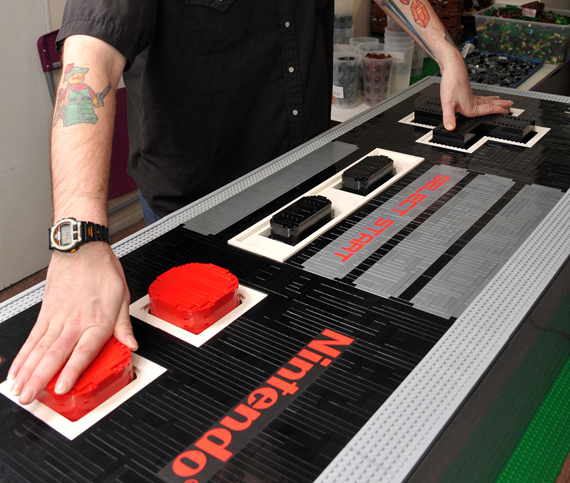 The controller is made up of thousands of LEGO bricks, measures 5 feet long, and took several months to create. While the controller is impressive all on its own, what’s really amazing is that he’s actually not half bad at playing Nintendo games with it. Check out the video below to see the controller in action.